I have been noticing lately that my frying pans are beginning to wear out, and I have been thinking about buying some of the new copper pans. These are on sale, and I don't think I will get a better deal anywhere, so I decided to treat myself to a complete set. These are very easy to clean and store in a cabinet. good quality, non scratch, no need oil and butter to add when cooking which is excellent. 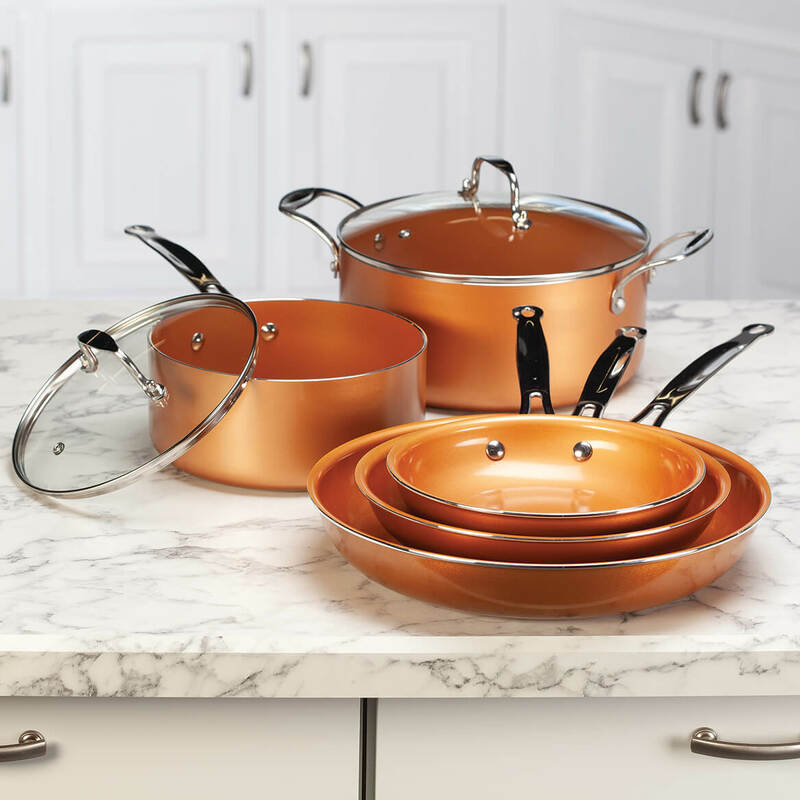 Is the copper cookware Gotham Steel? BEST ANSWER: Thank you for your question. Unfortunately this is not made of Gotham Steel. We hope this information will be of help to you. do the lids fit both the pots and the frying pans? Two lids? BEST ANSWER: Thank you for your question. Unfortunately no the lids only fit on the pots. We hope this information will be of help to you.